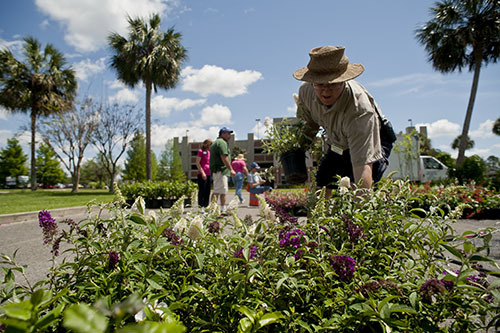 GAINESVILLE, Fla. — The Florida Museum of Natural History will host its large spring plant sale and a special butterfly photography workshop in April. Visitors to the spring plant sale, April 5-7, may select from more than 150 species of edible, accent, host and nectar plants. April 14 from 9 a.m. to noon, the museum will also offer a “Butterfly Rainforest” photography workshop. The plant sale will be held outside the museum from 10 a.m. to 5 p.m. April 5-6, and from 1 to 5 p.m. April 7. Prices range from $4 for small pots to $20 for the most difficult-to-find plants, with proceeds benefiting the “Butterfly Rainforest” exhibit. 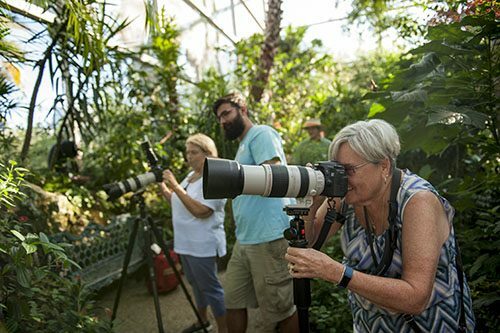 The Picture Perfect Photography Workshop allows participants to use tripods and other equipment not usually permitted in the “Butterfly Rainforest” exhibit. Staff will be available to help stage photos with newly emerged butterflies, providing an opportunity to capture close-ups of colorful species like the iridescent Blue Morpho. Workshop participants must be 18 or older. The fee is $40 for adults or $35 for museum members and includes exhibit entry. Photos taken at the Florida Museum, including those taken during the workshop, may not be used commercially. For the more information, visit floridamuseum.ufl.edu/visit/plan. For more information about the plant sale, visit floridamuseum.ufl.edu/event/spring-plant-sale/2019-04-05 or call 352-273-2057. For more information about the workshop, visit floridamuseum.ufl.edu/event/photo-workshop or call 352-273-2057.